Liz is a career professional in marketplace and competitive intelligence for the consulting industry. She has over 20 years of experience leading global information and intelligence operations for business, strategy and corporate development functions at premier consulting firms including Mercer, EY and PwC Strategy& (formerly Booz & Co.). 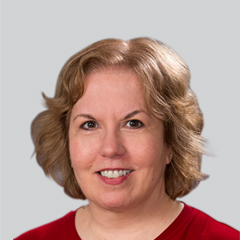 Since joining ALM Intelligence in 2012, Liz has researched and analyzed the provider landscape in a number of high-profile consulting markets, including change management and communications, employee benefits, employee experience, HR transformation and technology advisory, leadership development and talent management. Liz earned an M.S. in Library and Information Science from the University of Michigan and an M.P.A. in Interactive Telecommunications from New York University. She holds a B.A. in music theory and history from Skidmore College, with a minor in English.